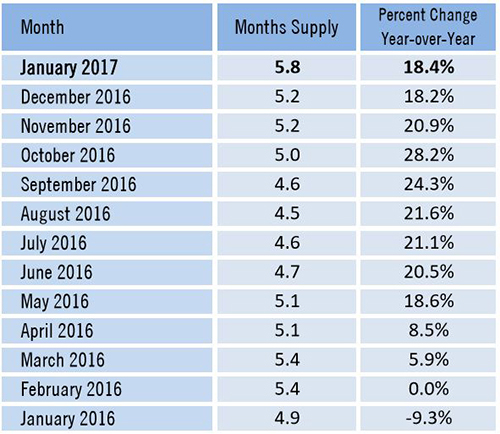 Rising mortgage rates motivates home buyers in position to buy to do so sooner rather than later. In a rising rate environment like we are in right now, It costs home buyers in two ways. First, their purchasing power goes down about 10-11%. Let’s say a buyer picks out a home at their max budget of $1294/mo. 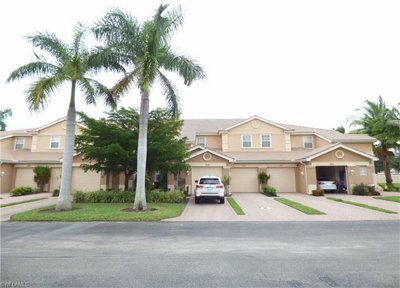 This is the figure their lender approved them for based upon their income of $51,765 Not long ago rates were at 3.625% Today they are at 4.25% and according to Ruben Gonzalez, staff economist at Keller Williams, rates should gradually increase throughout 2017. If they go up another .4% or so, we’ll have had a 1% increase in a relatively short period of time. Nothing has changed for the buyer. If they were maxed out for a home at $200,000 a few months ago, they are now maxed out at $180,000. Their job didn’t change. Their finances didn’t change. The only thing the changed was interest rates, so they just lost 10% purchasing power by waiting. If the selection of homes didn’t look enticing at $200,000, it will look even worse at $180,000. Waiting may have just cost this buyer a chance to buy a home at all. Secondly, if this buyer was not maxed out at $200,000, buying the same home will now cost about $50 more per month. Over 30 years that equates to $18,000 in extra interest payments simply because rates went up. Rates are still historically low. Many people remember back to double digit rates or even worse. To think that we’re even warning people about rates in the 4’s is comical, except for the fact that it’s real money. Home prices are much more today than they were when rates were in the high teens. So many things cost much more today, like gas, health care, groceries, etc. than they did decades ago. Even though rates are low by historical standards, we now have to stretch that money further because everything else has gone up so much. It’s hard for young people to scrimp and save money for a down payment. Add in homeowner’s insurance, rising rates, and high costs of everything, and we see the pressure on first-time homebuyers today. First-time home buyers are a springboard to move-up buyers, so if we eliminate first-timers we one day won’t have move up buyers. Don’t think that rising rates only affect first-timers. It affects all segments of the market. It may help cash buyers in that rising rates pay greater returns on savings, but it still affects all price ranges as it trickles up sooner or later. If you’re a seller, you’ll notice someday there are less buyers for your home than there once was simply because less qualify at the higher rates. Less buyers can be a drag on home prices. If rates keep rising it could take some steam out of the housing market. If you’re waiting for higher prices later, you may be sorely disappointed if they don’t rise at the pace you’re expecting. Many sellers replace their current home with another home, and if they’re getting a new mortgage on that home they may be in for some sticker shock when they get that new loan. It can cost you buying your next home, and selling your existing home. Rising rates are no fun for buyers or sellers. Low rates are one of the factors that have propelled the real estate market. 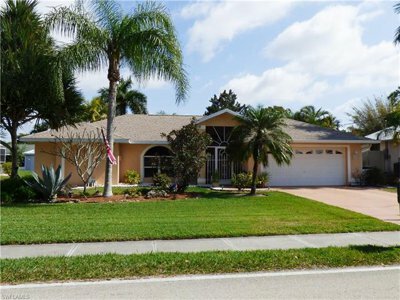 We feel the SW Florida real estate market is fairly valued. We don’t see risk of decline like we had back in 2005. However, rising rates may damper future gains. Even though wages may increase, rising rates may offset those gains and help keep prices steady instead of rapidly rising. In other words, if you’re waiting to make a move, be warned. Whether you’re a buyer or seller, the risks are the same. It will cost you to wait! 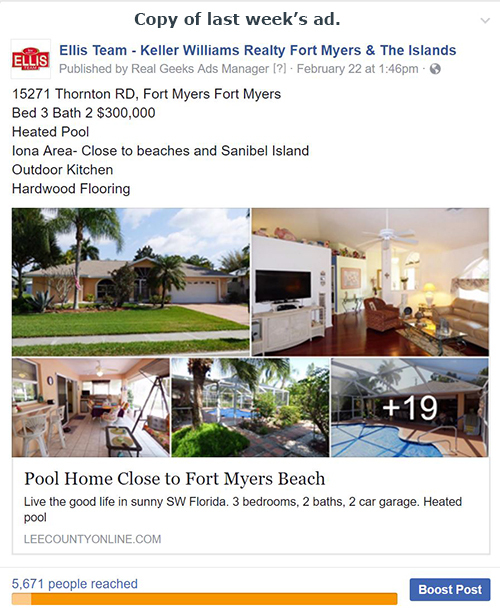 Feel free to search the MLS like a pro at www.Leecountyonline.com for your next home, or just get an idea of what homes are selling for. To talk with a real Pro, Always call the Ellis Team at 239-489-4042 We’ll advise you so you can make a great decision for your family. It’s that time of year again folks. 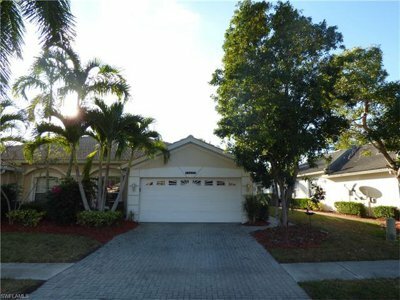 SW Florida home sellers begin reducing prices as season drags on. This isn’t necessarily a bad thing. In season, homes fly off the shelves, but not all homes. Each year some sellers get greedy and hope that an out of town buyer will overpay for their home because they just love it so much. 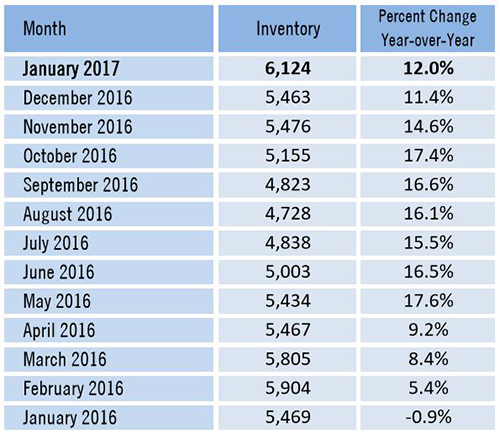 What’s different this year is that inventory levels are higher and the monthly supply of inventory has grown. Market data shows price decreases amid growing inventory. Motivated sellers are finding out that they cannot overprice a home and expect it to sell. It’s been a seller’s market in years past. This year it’s more of a balanced market. We have perhaps one of the healthiest markets we’ve had in a decade. By that we mean neither seller nor buy has an advantage. When the market shifts like this it’s an opportunity for educated sellers to use their knowledge and jump ahead of other sellers before they figure out what’s going on. It’s not that hard to do. Many sellers are reluctant to hear the truth, so they tell themselves the market is better than it is. They study neighbors asking prices and add some more simply because their home is nicer. Never mind the fact their neighbor’s home has been on the market for over a year. They judge their competition by asking prices instead of sold prices. The educated seller looks at other sellers who have won the home selling game. It’s kind of like asking a group of fishermen how the fish are biting today. You wouldn’t ask the ones going out in the morning who haven’t caught anything yet. If you truly want to know how they’re biting, you’d ask the ones coming in at end of day with fish in their boat. The same is true with the real estate market. We must look at actual sold data and compare to the subject property. And we should look at what the conditions were at the time of those sales versus today. If a home sold 5 months go back when we had less inventory to compete with we may have to discount that a bit now that we’re competing with many more homes. We must take all conditions into account. Otherwise we may misjudge the market, and that only hurts the seller in the long run. Sure, they’ll feel better about themselves for a month or so until they realize the price they thought their home was worth was just pie in the sky. Sellers may blame the market. They may even blame their Realtor for not selling it. We’ve been through shifting markets before. Many times, we’d call a seller and talk to them about market conditions. Some just do not want to hear they need to reduce their price. No Realtor enjoys that conversation anyway, but ignoring changing conditions can be at your own peril. We have a good market right now. Chances are if your home hasn’t sold yet it’s due for a pricing checkup. Marketing becomes more important as inventory grows. Pricing is equally important. It could just be that you were a little too aggressive initially and re-positioning your home in the marketplace could do the trick. As you can see, a lot of sellers are selling, and the one’s that aren’t are reducing their price. 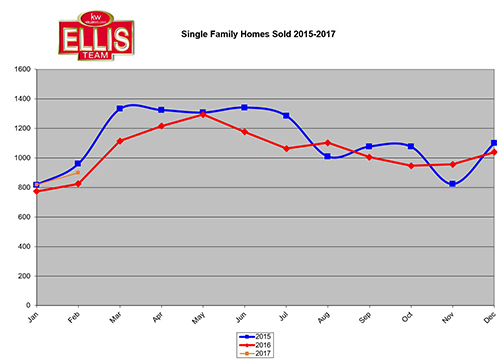 If you need to get your home sold, call the Ellis Team at Keller Williams for expert pricing and marketing 239-489-4042. If you’d like to shop and educate yourself online first, go to www.LeeCountyOnline.com It has all the listings and it’s updated every 5 minutes. 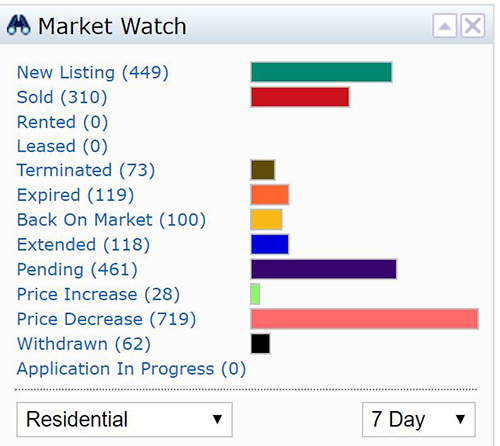 No more looking at homes that sold months ago, or old prices. If you’re looking to buy or sell, our team can help! We make the process easy and we handle all the details. Let us help you with your next SW Florida transaction. Everybody knows fish tend to swim in schools. The same is true with buyers. 93% of buyers search online, so knowing where they are and how to reach them is integral today. Targeted marketing attracts schools of online buyers. This past month we’ve held some open houses. We had one 3 weeks ago and 45 people showed up. Last week we held one and 40 people showed up. The lender who agreed to sit with us and help pre-qualify buyers who might need assistance was amazed. He said he’d never seen anything like it. He went to 6 open houses last weekend and none had that kind of traffic but ours. We’ve developed a particular set of skills that finds specific buyers and brings them to your door. We are targeting buyers, and they love it. We asked each buyer who came through how they found us. Many said the open house popped up on their phone, while others said they saw it online. Were they mad they saw one of our ads? Heck no, they were glad, and they acted and showed up. In any advertising, you must target the right people, with the right message, at the right time. If you fail at any of the three, you’re missing opportunities. It’s not about how much you spend. While it is true we spend more than other agents, spending alone won’t bring buyers. There is blanket advertising and targeted advertising. Advertising in the Super Bowl might cost $5 Million and blanket the US. Sure it would attract attention for about a minute. Targeted advertising hits the right audience, when they’re ready to purchase, with the right message. First you must have a great page to send them to. It must have compelling content, and either a call to action or a benefit to going there. 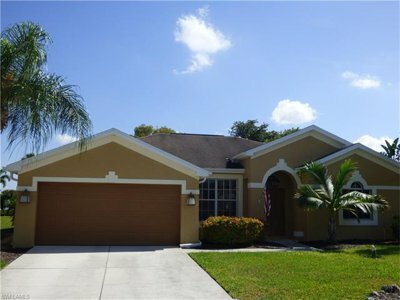 You can see from last week’s online ad there is compelling content with photos if you’re a buyer looking for such a home. Our open houses generated 1,355 views of our two properties. Secondly, we chose buyers looking to purchase with the exact interests of each home. 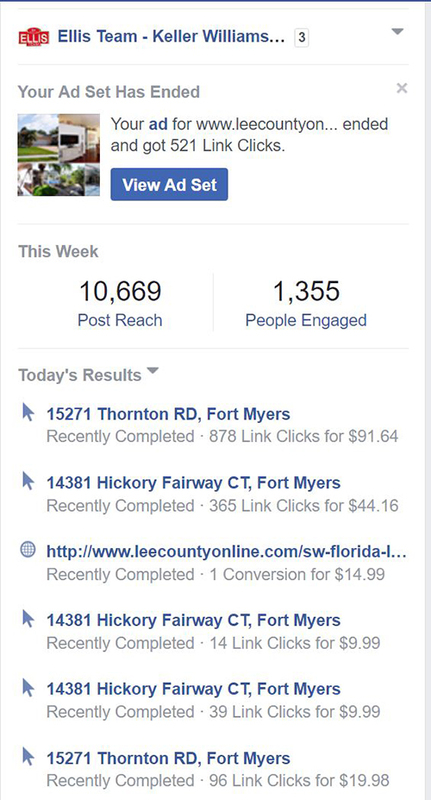 We separated the buyers into different audiences so we could tailor each creative ad to each set of buyers. We ran ads to 5 separate groups, and each group performed well. Our Click-thru rate was over 15%. This means that over 15% of people that saw the ad clicked on the ad. The ad itself was engaging and was worth customers spending their time on. The industry average is less than 2%. Targeting worked. I’ve heard people say they don’t like targeting. We also put up open house signs on the road. Those signs target people driving by. Newspaper ads target readers for products and services. Online ads are no different. In fact, most people like it better because hey get to see ads for things they like or are interested in. This is one reason why For Sale By Owners stand little chance of selling their own home. They’re not reaching the whole market, and when you limit your market you limit the price you’ll get. Imagine selling an item at an online auction. If you have one bidder, you’ll get a certain amount. What if you had 1,000 bidders? Do you think you’d get a better price? All Realtors are not the same. It makes a difference which Realtor you hire. We use both blanket marketing like newspaper, video, postcards, etc as well as online targeted ads on Google, Bing, Yahoo, Facebook, and more. We corner the market. Hiring the wrong Realtor could cost you thousands! Good luck and Happy Home Selling!